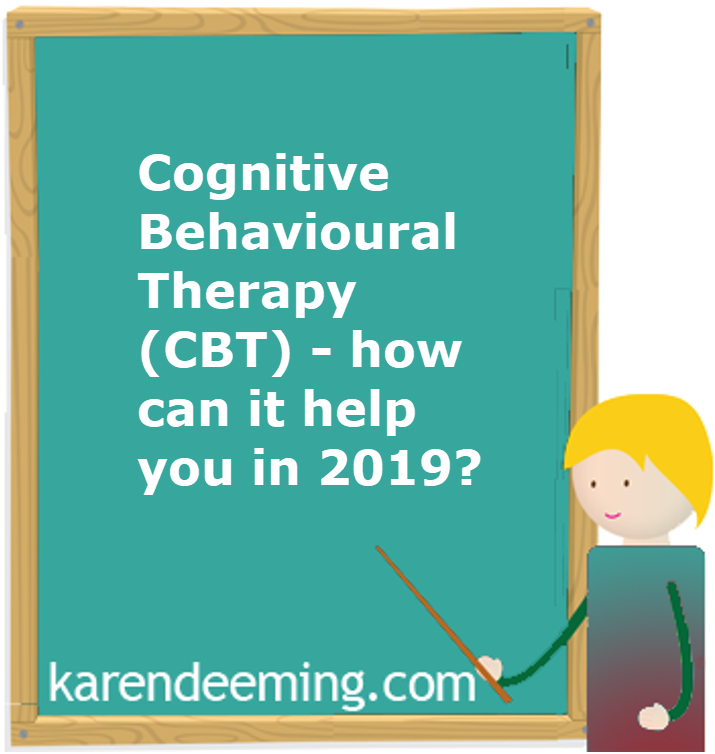 Cognitive Behavioural Therapy (CBT) – how can it help you? CBT can help you to change how you think (‘Cognitive’) and what you do (‘Behaviour’). These changes can help you to feel better. Unlike some of the other talking treatments, CBT focuses on the ‘here and now’ problems and difficulties. Instead of focusing on the causes of your distress or symptoms in the past, CBT looks for ways to improve your state of mind now. CBT can help you to make sense of overwhelming problems by breaking them down into smaller parts. This makes it easier to see how they are connected and how they affect you. A Situation – a problem, event or difficult situation. Each of these areas can affect the others. How you think about a problem can affect how you feel physically and emotionally. There are helpful and unhelpful ways of reacting to most situations, depending on how you think about it. The way you think can be helpful – or unhelpful. What’s most helpful is to approach issues with a more positive CBT mindset. Helpful: He/she looks a bit wrapped up in themselves – I wonder if there’s something wrong? whether you used another helpful CBT technique: “thoughts aren’t facts”. having a number of uncomfortable feelings behaving in a way that makes you feel worse. If you go home feeling depressed, you’ll probably brood on what has happened and feel worse. If you get in touch with the other person, there’s a good chance you’ll feel better about yourself. If you avoid the other person, you won’t be able to correct any misunderstandings about what they think of you – and you will probably feel worse. This ‘vicious circle’ can make you feel worse. It can even create new situations that make you feel worse. You can start to believe quite unrealistic (and unpleasant) things about yourself. This happens because, when we are distressed, we are more likely to jump to conclusions and to interpret things in extreme and unhelpful ways. CBT can help you to break this vicious circle of altered thinking, feelings and behaviour. When you see the parts of the sequence clearly, you can change them – and so change the way you feel. CBT aims to get you to a point where you can ‘do it yourself’, and work out your own ways of tackling these problems. You can do CBT individually or with a group of people, or even a self-help book or computer programme. In England and Wales, two computer-based programmes have been approved for use by the NHS. Fear Fighter is for people with phobias or panic attacks; Beating the Blues is for people with mild to moderate depression. You will usually meet with a CBT therapist for between 5 and 20, weekly, or fortnightly sessions. Each session will last 50 minutes. In the first 2-4 sessions, the CBT therapist will check that you can use this sort of treatment and you will check that you feel comfortable with it. The CBT therapist will also ask you questions about your past life and background. Although CBT concentrates on the here and now, at times you may need to talk about the past to understand how it is affecting you now. You decide what you want to deal with in the short, medium and long term. You and the CBT therapist will usually start by agreeing on what to discuss that day. CBT is one of the most effective treatments for conditions where anxiety or depression is the main problem. It is the most effective psychological treatment for moderate and severe depression. CBT is as effective as antidepressants for many types of depression. Back by popular demand, this video I created for my coaching business, You Revolution, shows how mindfulness can help you with Blue Monday. Mindfulness can also help you to reduce and overcome anger outbursts, stress, panic attacks, anxiety, depression, negative thinking patterns, high blood pressure, low self esteem and exhaustion. Feeling low or depressed because of dark nights and too much rainfall? Then you may have fallen victim to Blue Monday trap. 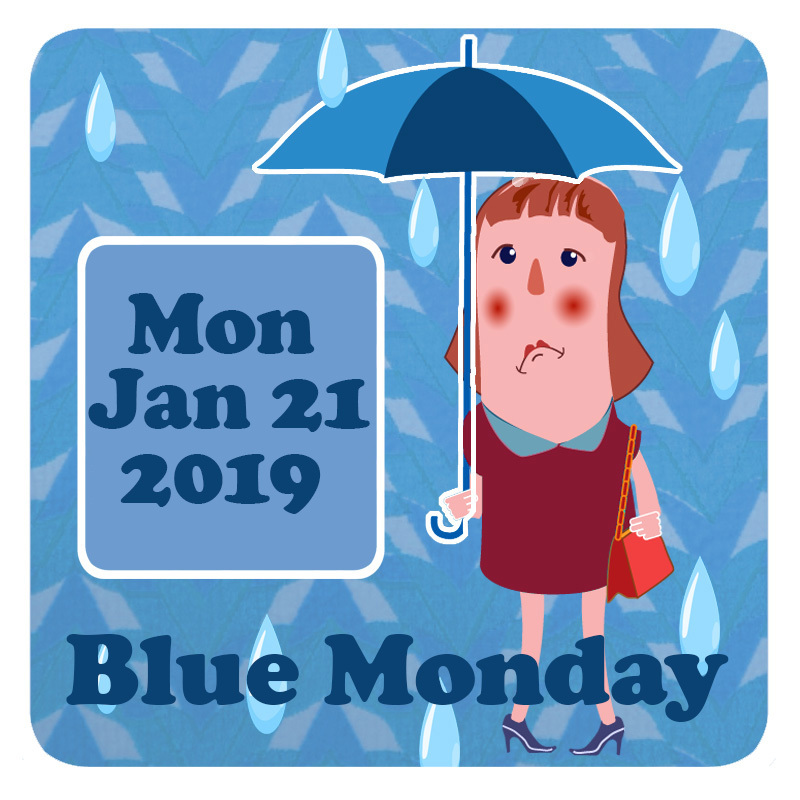 Following extensive research findings, the third Monday of January, supposedly the most depressing day of the year, has been awarded the gloomy title due to a combination of post-Christmas blues, cold dark nights and the arrival of unpaid credit card bills. Even though I, Karen Deeming, am doing my dream job, Blue Monday is still always tough, however, what helps me cheer myself up and get through the day is my daily mindfulness practice, doing nice things for other people or simply remembering that I have roof over my head, have the pleasure of three good meals a day and I don’t have the misfortune of living in a war zone. Mindfulness is a technique for reducing stress, exhaustion, high blood pressure, panics, anxiety, and negative thinking patterns which has been widely approved by the international medical community. It teaches greater awareness of our thoughts, feelings and sensations through simple techniques like visualization, meditation and gentle movement. Despite a prediction of heavy rain in Somerset a few days ago, I decided to take out my rickety vintage bicycle “Flo” for an impromptu cycle ride to the local farm shop. As she had been snuggling up to the lawn mower for most of December it was no easy task to take Flo out of the shed, nonetheless I still proceeded to do so. Anyway. The reason I’m writing this blog for you is not just to share the awesomeness of Pilton landscape(though it ‘s definitely a worthwhile visit). The application of mindfulness together with my conscious intention to zoom in on the abundance of delightful landscape instead of focusing on the scarcity of sunshine resulted in a highly pleasurable experience. The ability to achieve a successful work life balance in order to live more creatively and fully has never been more important than in today’s society. Unless you take more quality time on your own, you will always experience emotional and physical difficulties from the beginning of your working life until the grave. Health, well-being and mindfulness workshops are our passion at You Revolution that’s why we pride ourselves in inspiring people, like you, to find balance in work and play and in your mind and body and to experience being in the flow. We also provide the ideal playground and tools to empower people, like you, to overcome issues that are bothering you. This includes learning practical skills that you can use in everyday life and learning techniques to identify your triggers and to put a stop to any unhelpful behavioural patterns. If after reading this blog you are still struggling to motivate yourself on Blue Monday or indeed anytime in 2017, why not take this one small step today by signing up to one of our mindfulness one day or eight week courses where you can meet like minded people and achieve life changing results!! Alternatively, if you don’t feel ready for a course just yet we also offer on line or face to face counselling sessions too. Make it happen Stop thinking, Start doing !!! Why not call Karen to have an informal chat or to book an appointment by calling 07950 751352. Why can’t I get over this and get a grip? Other people have much bigger problems than me so why am I feeling so low? Why can’t I perform as well as my boss and colleagues at work? Why do I always leave everything to the last minute? I’m a loser, lazy and selfish blah blah blah…..
Why can’t I stand up for myself? Sound familiar? Well you’re not alone in this universal catch-22. We all have an inner critic, but not all of us let it run riot. This video which Founder of the Being Practice, Karen Deeming, produced for her Coaching Agency, You Revolution, shows how mindfulness can help you with Blue Monday. Mindfulness can also help you to reduce and overcome anger outbursts, stress, panic attacks, anxiety, depression, negative thinking patterns, high blood pressure, low self esteem and exhaustion. Have you noticed that you’re feeling a bit more under the weather and more tired than usual because of the long dark nights or overspending at Christmas? or are you feeling disappointed that your New Year’s Resolution or diet aren’t going as well as you had hoped? What helps me to cheer myself up on Blue Monday is my daily mindfulness practice, or simply snuggling upto the cat on the sofa. Despite a heavy rain prediction here in Somerset a few days ago I decided to cycle to the local farm shop. The cycle route from Pilton to the farm shop is no stranger to me but today it was a strikingly different experience because I had decided to attempt mindful cycling. In other words, I adopted a small steps approach, focusing on the here and now and the journey rather than a speedy arrival at my destination. How stunning I chuckled to myself as I was greeted by the distant view of Glastonbury Tor. Slightly distracted by these delicious in the moment experience, I cycled through a muddy puddle resulting in drenched socks. What helped me overcome the soggy socks incident, were the charming duo of cocker spaniels grinning at me from the rear window of a scruffy jeep ahead. And you can achieve this positive mindset too. If after listening to this clip or reading this blog you are still struggling to motivate yourself on Blue Monday or indeed anytime in 2015.